The Focal Spark Wireless Rose Gold is an elegant in-ear headset with Aptx compatible Bluetooth 4.1 technology and optimal sound. Its 9.5mm Mylar driver delivers high dynamics and a wide frequency response. 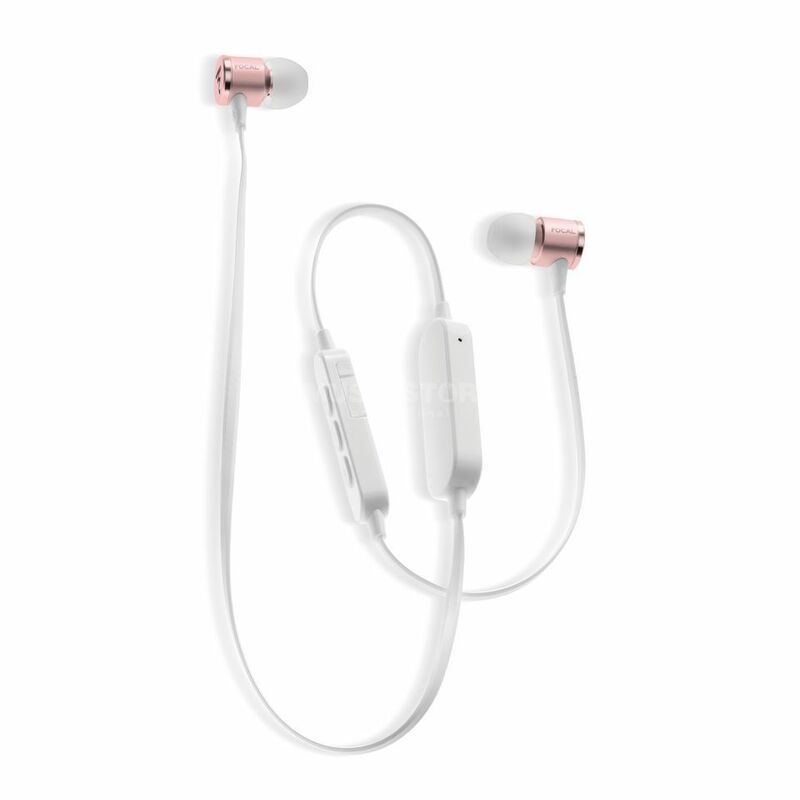 In addition, the ultra-light in-ear headphones are compatible with all smartphones and offer 8 hours of intense listening pleasure at a range of 10m. The Bluetooth In-Ear headphones' soft-touch cable is extremely flat and prevents knots and the integrated 3-button remote control with Omni-directional microphone makes it easy to answer calls or listen to music. The Focal Spark Wireless Rose Gold comes with 3x pairs of silicone attachments (S/M/L), a USB cable, a battery clip for sports activities and a carrying case.